Mario Badescu Moisturizer Review: Is it Really Effective? What Is Mario Badescu Oil Free Moisturizer Spf-17? Mario Badescu Oil-Free Moisturizer SPF 17 provides skin hydration and protection from the sun’s rays. It is sold and manufactured by Mario Badescu Skin Care, Inc., a New York company that also sells other skin care products as well. The moisturizer is sold in bottles of 2 fluid ounces for the price of $24. In addition, it is backed by a 30-day money-back guarantee. Although it contains certain ingredients which may lead to skin irritation. What Are The Ingredients In Mario Badescu Oil Free Moisturizer Spf-17? 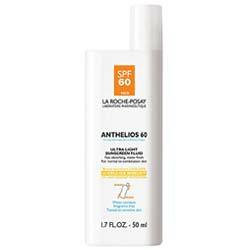 Avobenzone 2%: Sunscreen known for protecting skin from a variety of UV rays. It is oil-soluble and marketed as broad spectrum. Octinoxate (7.5%): Can absorb UV rays and diminish the appearance of scars. Safe for use at a maximum concentration of 7.5%. It has been known to accumulate in the body over time. Oxybenzone (5%): Absorbs UVA and UVB films. However, it is known to cause photosensitivity and can penetrate into the skin. It may not be suitable for use by people with allergies or eczema. Stearic Acid: Fatty acid obtained from animal and vegetable origins. Used as emollient, emulsifier, and to harden product formulas. However it may cause skin irritation. Clean and tone the face. Apply every day before going out into the sun. Reapply to maintain protection, after swimming or sweating. Can be used alone or beneath make-up. Should the product enter the eyes, rinse well. 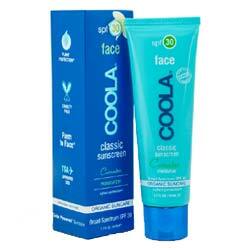 Contains ingredients that protect the skin from UVA and UVB rays that cause damage, fine lines, sunburns, and wrinkles. This product absorbs well in the skin. Although Many user reviews say it isn’t very effective. The list of ingredients and product directions are published online. 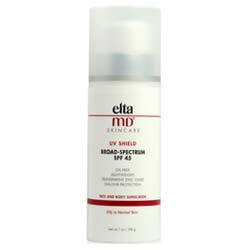 SPF 17 may not be enough sun protection for all people. Some ingredients may be stored in the body and cause problems for people with sensitive skin or conditions such as eczema. Oxybenzone may increase photosensitivity in some people. The amounts of inactive ingredients are not provided. 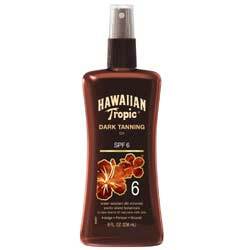 More proof is needed that the product also protects against UVB rays. Mario Badescu Oil-Free Moisturizer SPF 17 can help people obtain the moisture they need while also protecting their skin. The moisturizer contains many ingredients that fight UVA and UVB rays, and can be used even by people with oily skin. In addition, the product can be used under make-up and is backed by a 30-day return policy. However, the sunscreen doesn’t seem to be waterproof. Some concerns still exist over the product’s inclusion of certain components that could increase sensitivity to light after frequent use, or that may not be suitable for people with skin ailments.